APART from Tony Abbott, who is clearly the most influential member of federal parliament, for the remainder of this year there appear to be 10 other key parliamentary players. Top of the list is Western Australia-based Julie Bishop. Deputy leader of the Liberal Party, the most senior woman in the federal parliament, and our first female Foreign Minister, Bishop is responsible for managing relations with the US, China, and Indonesia, which arguably are the three nations most important to Australia. In tandem with the ambitious Malcolm Turnbull, the influential Bishop will this year almost certainly oversee the dismantling of the ABC’s controversial $223 million Australian Network, which broadcasts into Asia. Second on the list is Brisbane-based federal Attorney-General and Arts Minister George Brandis. Deputy leader of the government in the Senate, Brandis will this year be overseeing the drafting of the amendment to formally recognise Aborigines and Torres Strait Islanders in the Constitution. In terms of the human rights agenda, Brandis – who brings the panache of a barrister to the job – will also be at the forefront of achieving substantive protection for those who need it most, without undermining our freedom of speech or being held hostage to political correctness. The third key political player is Sydney-based Joe Hockey, who, physically and in terms of his parliamentary performance, can no longer be disparaged as “Sloppy Joe”. However, in his crucial forthcoming budget, the Treasurer will need to demonstrate consistency, vision and strength in clarifying his overarching economic narrative, be it in relation to spending cuts, privatisation, deregulation and possible changes to the taxation system. Above all, Hockey needs to demonstrate how and when he plans to balance the budget. The fourth key political player in the Coalition is Environment Minister Greg Hunt. Federal member for the Victorian-based seat of Flinders, the knowledgeable Hunt will be central this year to helping abolish the carbon tax and helping implement the Prime Minister’s direct action plan to deal with the degradation of Australia’s environment – which is in effect the Coalition’s answer to climate change. The final key Liberal player is Immigration and Border Protection Minister Scott Morrison. A possible future party leader, Sydney-based Morrison is tasked with the crucial job of dealing with the controversial issues of turning back the boats – to Indonesia in particular – and to restoring integrity to our borders and our immigration system. In contrast to the Liberals’ top five, for 2014 federal Labor would seem to boast four key political players. First is Sydney-based opposition Treasury spokesman Chris Bowen, who this year is tasked with the challenge of giving federal Labor economic credibility. For a brief period last year, Bowen was a highly effective acting leader of the Labor Party and acting leader of the opposition. Indeed a number of pundits regard Bowen as the most talented member of the Labor opposition. No 2 on Labor’s most potent political list is the left-leaning Tanya Plibersek, who has been the member for Sydney since 1998. Now deputy leader of the opposition and deputy leader of the Labor Party, Plibersek finds herself with the shadow foreign affairs portfolio at a time when her leader, Bill Shorten, is pro-American and pro-Israel. The highly articulate and telegenic Plibersek may well harbour ambitions of eventually taking over the leadership of the federal Labor Party. No 3 is the bruised and battered but still ambitious and highly motivated Anthony Albanese, who won the popular vote in his leadership tussle with Shorten but who now finds himself somewhat stranded as shadow minister in his old portfolios of infrastructure and transport, with the addition of tourism. A strong factional warrior and political performer, the Sydney-based Albanese should not be underestimated in terms of making his mark this year. Also based in Sydney, federal Labor’s No 4 is Tony Burke, who has taken over from Albanese as leader of opposition business in the house. Presently opposition spokesman for finance, and somewhat of a dark horse, Burke also may harbour aspirations of some time taking over from Shorten, who during the Christmas-new year break seemed preoccupied and lacking focus and whose links to the union movement often make him appear conflicted and constrained. This is why Shorten, as Opposition Leader, does not make it into my top 10. But the problem with Burke, or Plibersek or Albanese or anyone else challenging for Labor’s top job is that the party reforms instituted by Kevin Rudd make it extremely difficult for a federal Labor leader to be removed, while along the way the fading Greens may well stir up problems. In my opinion, filling the final place in the top 10 of this year’s key political players is Queensland-based billionaire Clive Palmer. A parliamentary wild card who appears to be often unpredictable and self-indulgent to boot, he formed the Palmer United Party last year to contest the federal election, in which he narrowly won the House of Representatives Sunshine Coast seat of Fairfax. Whatever one might think of him, the crucial fact is that, from July 1 this year, Palmer is likely to wield considerable political influence, especially as members of his Palmer United Party will be holding the balance of power in the Senate. Ross Fitzgerald is emeritus professor of history and politics at Griffith University. 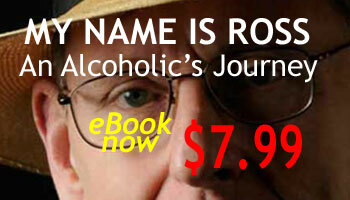 His memoir, ‘My Name is Ross: An Alcoholic’s Journey’, is now available as an e-book. The Weekend Australian, February 8 – 9, Ã‚Â 2014. Ross Fitzgeraldâ€™s Australian top ten (Abbott aside, the ten voices that will shape our parliamentary year, The Weekend Australian, February 8 â€“ 9, 2014) highlights an opportunity for Tony Abbott, whilst he is chair of the G20, to show exceptional leadership of our team Australia. As every teenager knows the entrepreneurial private sector pop music industry pays stars that top ten in the UK more than those who top ten in Australia. It is simply a matter of the size of each market. So why do we pay our number one pollie about double (Tony Abbott: $AU 507,320) what the UK pays theirs (David Cameron: $AU 252,471)? If we are to reform the Australian and the global economy for future success then rightsizing public sector salaries is a must. To show the exceptional leadership of Team Australia that he is capable of our team leader has the power to ensure that Australiaâ€™s PM costs each Australian taxpayer not a cent more than it costs each Brit for theirs. There could hardly be a better time for PM Abbott to grasp this opportunity to lead from the front in the struggle to move beyond the age of entitlement. I must congratulate ‘The Australian’ on the fairness and skills of your political journos. In particular Ross Fitzgerald who was virtually a lone voice with his opinions against the kow-towing press gallery during the federal election. 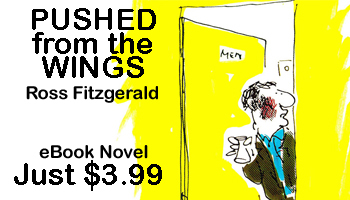 Now with that over Fitzgerald continues to lay out the truth – in particular his assessment of Tony Abbott’s expertise in economics and also his balanced judgement about federal parliament’s top ten and his comparison of the quality of the coalition’s front bench compared with the ALP. Iâ€™ve read Fitzgerald forever and I know that he leans left of centre as do most academics, which makes his current writings even more valued.